“Planning never guarantees success. Only adaptation guarantees success.” Dr. Max McKeown focuses on how people shape the future and we discuss how planning might equal failure, joy, innovation, and the differences between collapsing, surviving, thriving, and transcending. Dr Max McKeown is an English writer, consultant and behavioural psychologist specialising in innovation strategy, leadership and culture. This includes his best-selling: The Strategy Book. 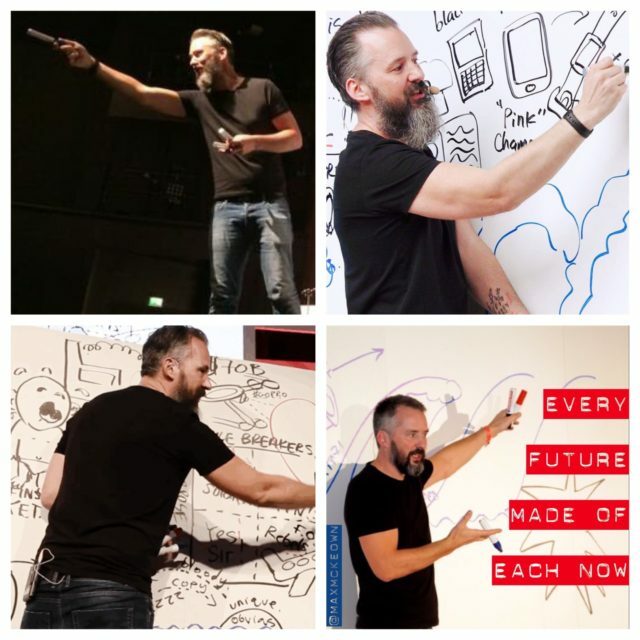 He delights and energises audiences with a unique visual storytelling style, creating a live cartoon mural as he speaks to powerfully illustrate his concepts. He has written eight influential, award-winning books and conducts research with Warwick Business School. He’s fellow of the RSA and member of the British Psychological Society.